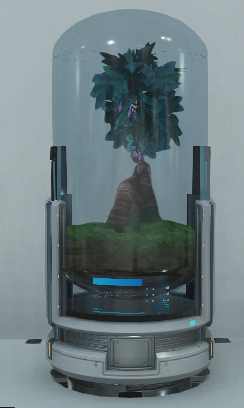 A Xi’An Space Plant. 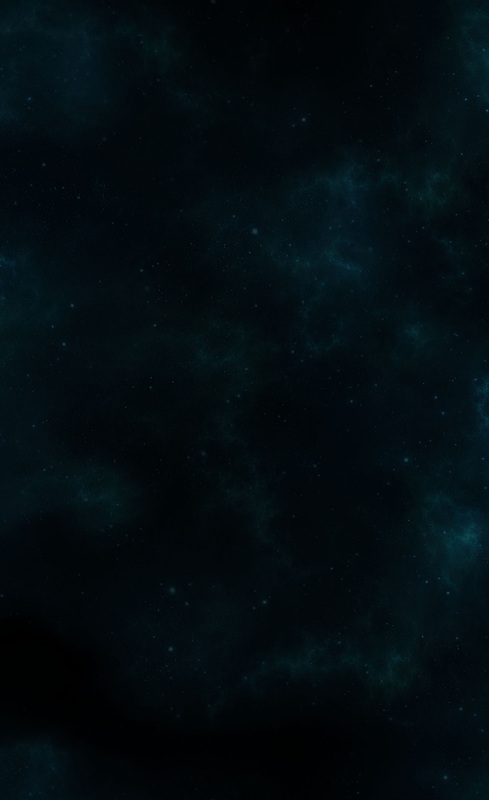 Given out as a backer reward for hitting 49 million. 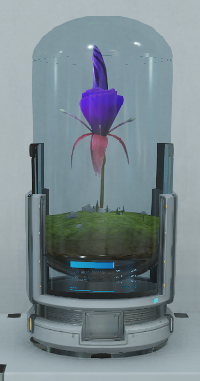 A Space Flower from the Tuserac Family. Given out as a Subscriber Flair for March 2016. 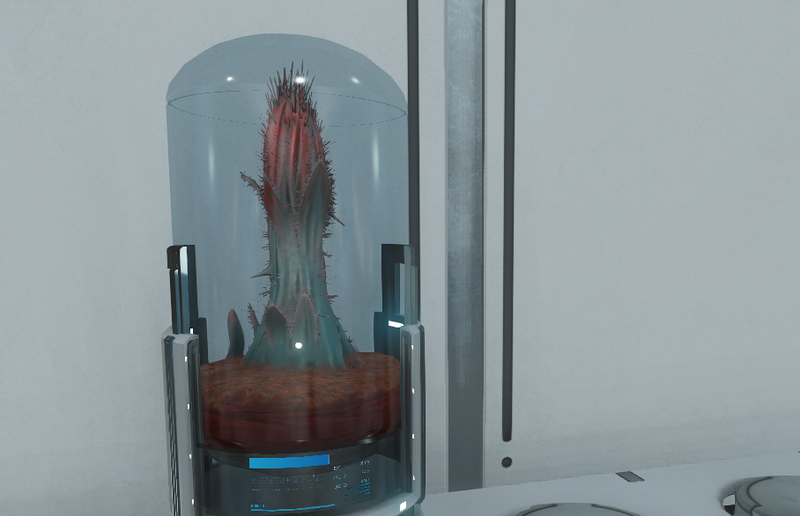 A Space Cactus that developed on Yar. Given out as a Subscriber Flair for May 2016. 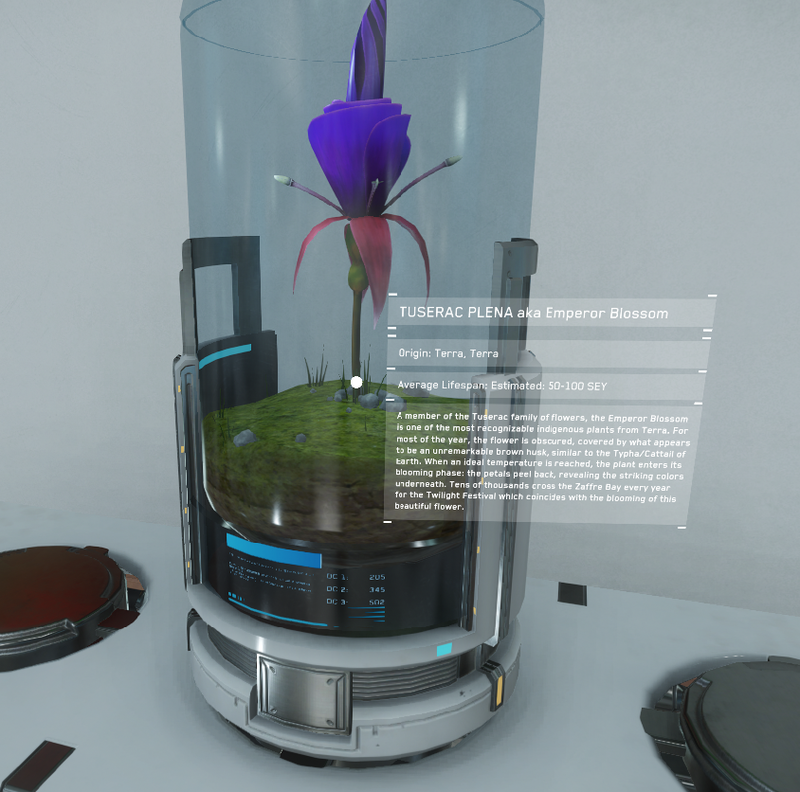 A Space Plant. Given out as a Subscriber Flair for July 2016. Photos are temporary. 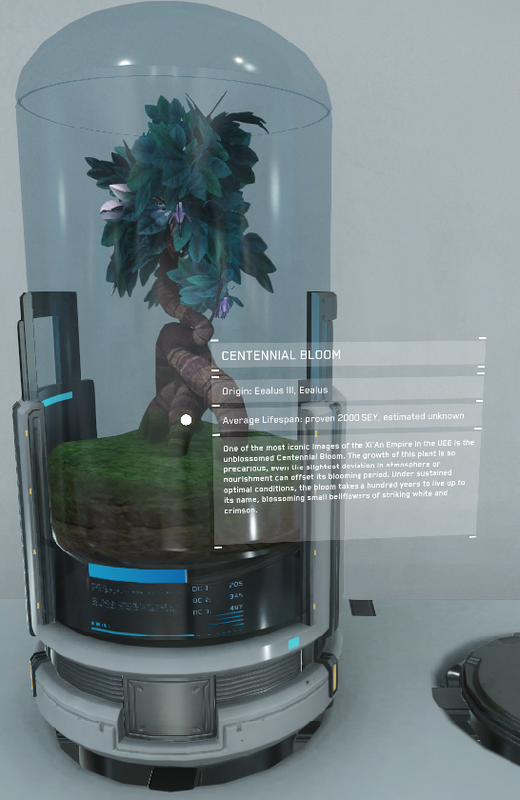 A Space Plant that holds the notable distinction of being considered the first plant subspecies to have naturally evolved on a spacestation. The sculpture featured in the Ecosphere is a replica of the gift shop souvenir the moss was originally discovered on by a waylaid botanist. Given out as a Subscriber Flair for September 2016. Photos are temporary. Created by a team of genetic researchers at the University of Rhetor, the opera mushroom is unique in the fungus genus for the various audible tones that it produces. 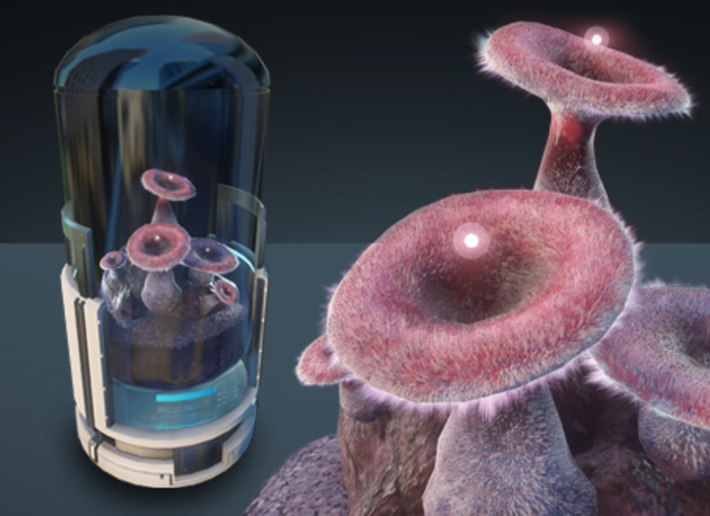 The hollow central chamber of the cap acts as a reverberation chamber amplifying the sounds caused by it’s unique cell structure stretching and compressing as water moves through its mycelium. Given out as a Subscriber Flair for November 2016. Photos are temporary. 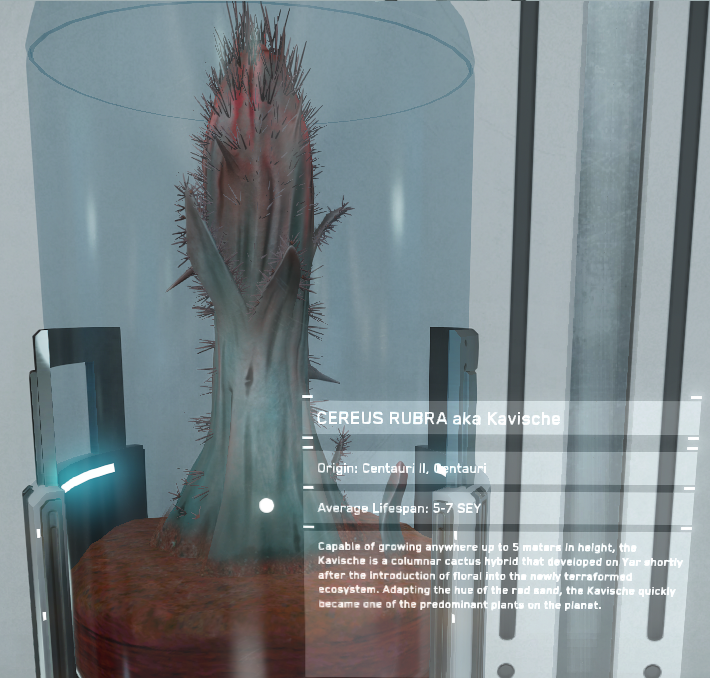 Contrary to its ominous name, the Revenant is also known as the Altrucia Lacus and is actually a subgenus of the Altrucia tree, an indigenous plant of Terra III known for its thick and colorful leaves. Geoengineers introduced fields of Altrucias to Hyperion in an effort to break up the dust storms. Although the project failed, the Altrucia trees adapted to the perpetual wind patterns, shedding its leaves and thickening the wood in the trunk. Botanists initially believed that the Altrucias had died, but on closer inspection, discovered that they were quite alive and thus, the name was born. Given out as a Subscriber Flair for January 2017. Photos are temporary.